What is better than smart RGB LEDs? Smart RGB+White LEDs! These NeoPixel sticks now have 4 LEDs in them (red, green, blue and white) for excellent lighting effects. These are fun and glowy, and you can control each LED individually! 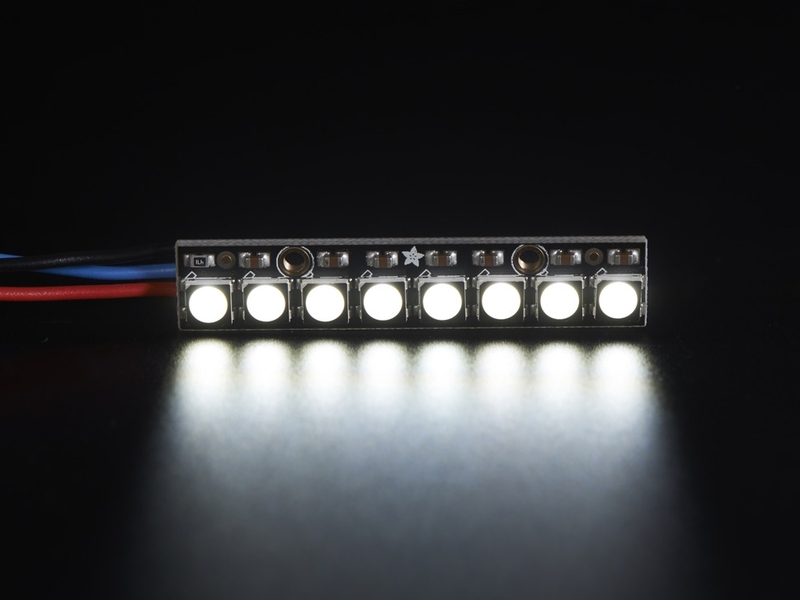 Make your own little LED arrangement with this stick of NeoPixel LEDs. This is the Cool White RGBW version. We also have this stick in Warm White, Natural White, and good ole RGB! 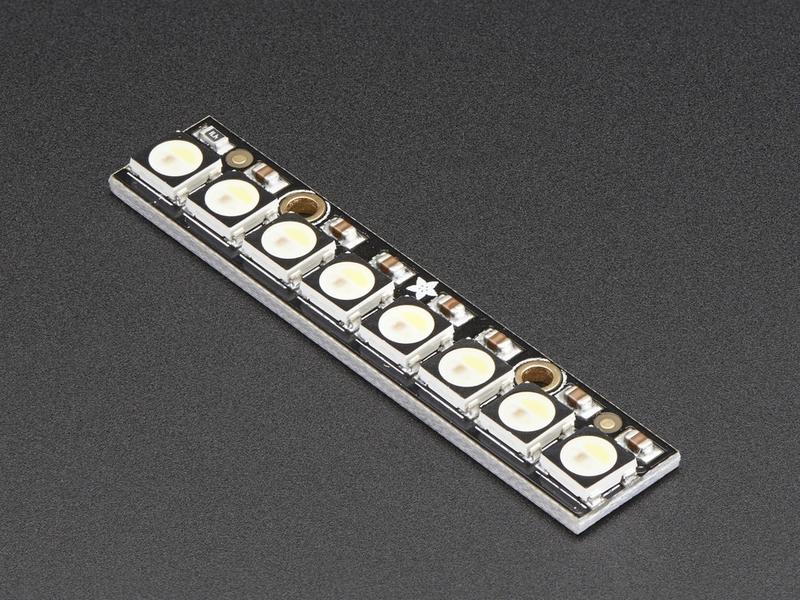 We crammed 8 of the tiny 5050 (5mm x 5mm) smart RGBW LEDs onto a PCB with mounting holes and a chainable design. Use only one microcontroller pin to control as many as you can chain together! Each LED is addressable as the driver chip is inside the LED. Each one has ~18mA constant current drive so the color will be very consistent even if the voltage varies, and no external choke resistors are required making the design slim. Power the whole thing with 5VDC (4-7V works) and you're ready to rock. 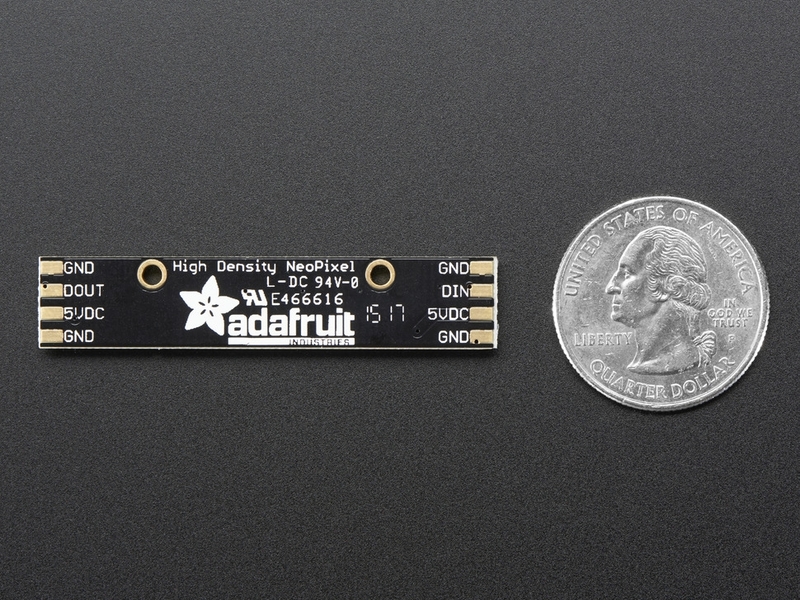 The LEDs are 'chainable' by connecting the output of one stick into the input of another. There is a single data line with a very timing-specific protocol. Since the protocol is very sensitive to timing, it requires a real-time microcontroller such as an AVR, Arduino, PIC, mbed, etc. It cannot be used with a Linux-based microcomputer or interpreted microcontroller such as the netduino or Basic Stamp. 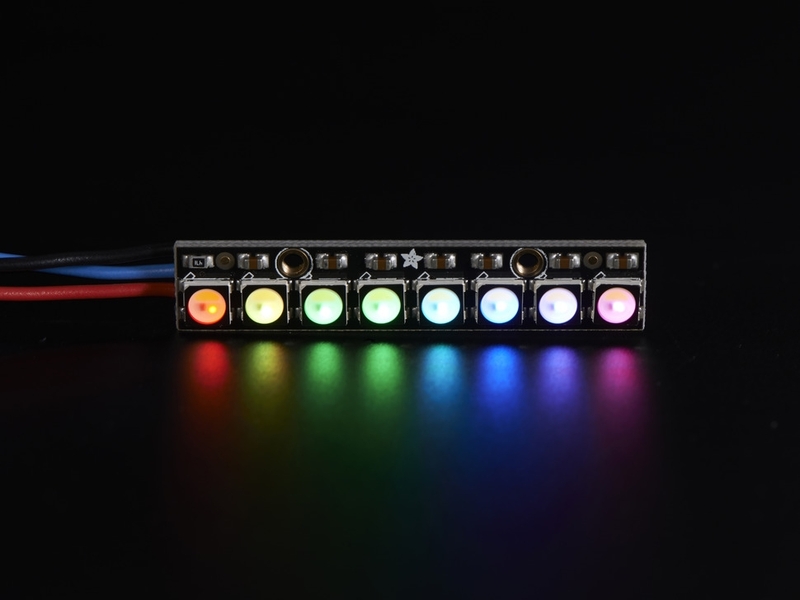 Our wonderfully-written Neopixel library for Arduino supports these pixels! As it requires hand-tuned assembly it is only for AVR cores but others may have ported this chip driver code so please google around. An 8MHz or faster processor is required. 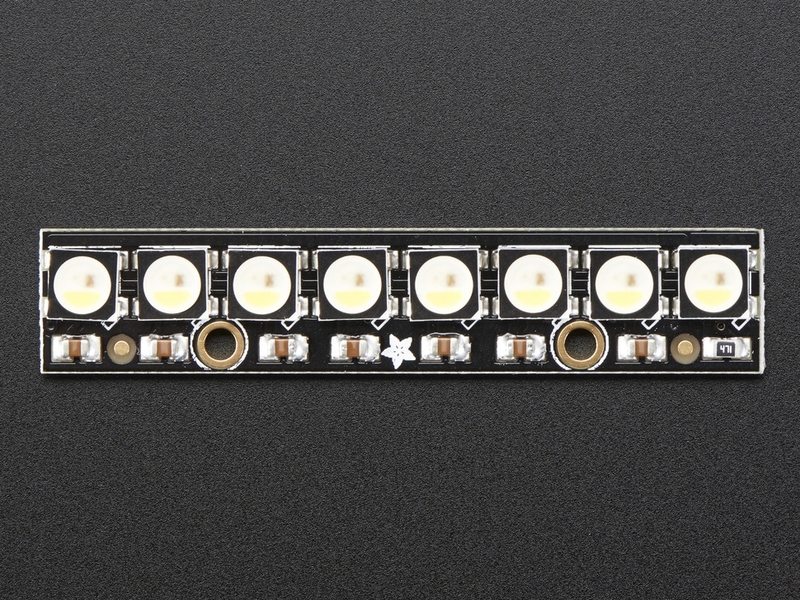 Comes as a single stick with 8 individually addressable RGBW LEDs assembled and tested. Dimensions: 10.2mm x 51.1mm x 3.2mm / 0.4" x 2.0" x 0.13"